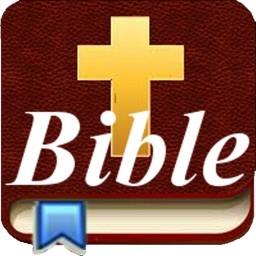 Read the Bible your way. 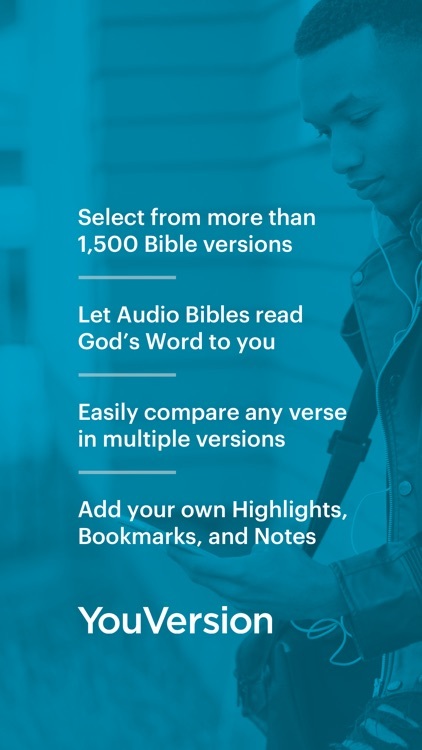 There are Bible apps that are read and some are audio. 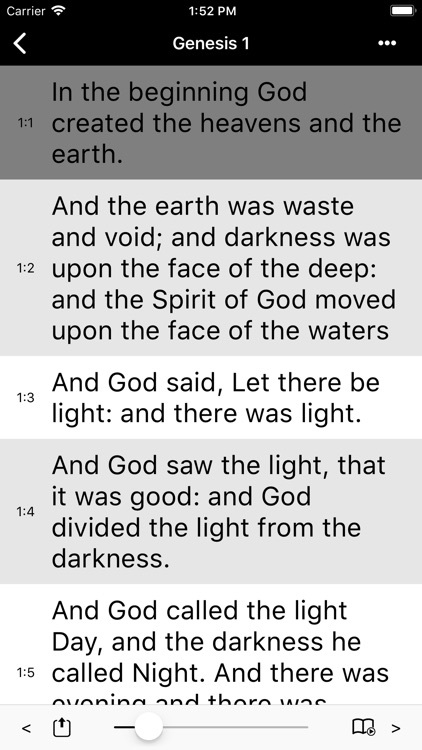 Which ever you chose you'll have access to the full Bible in the version you prefer. 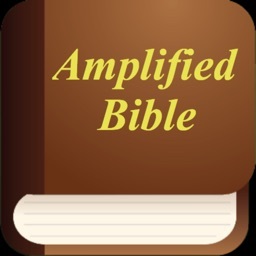 Bible Reader featuring the Amplified Bible in fully formatted text pre-loaded and ready to use even when the Internet is unavailable. 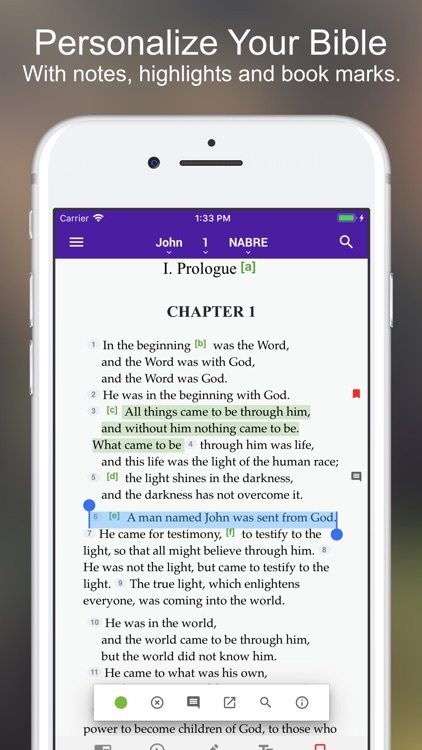 Navigate by book, topic, passage, search and more. Other versions are available for purchase within this app. 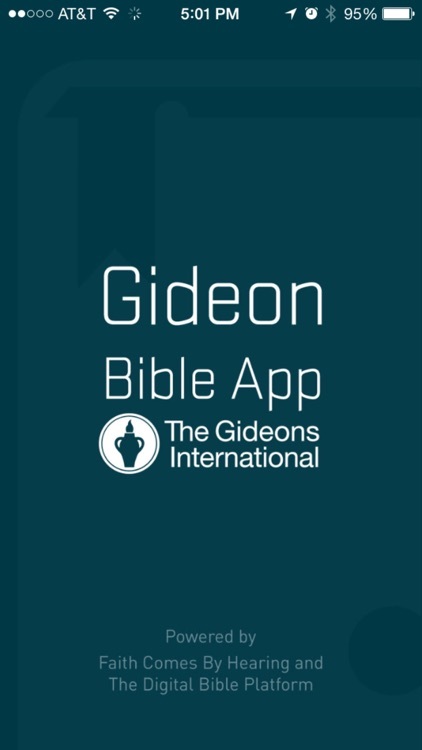 Gideon Bible App offers mobile access to Scripture in a multitude of languages including text and dramatized Audio Bibles so you can read and listen to the Bible in your own language. 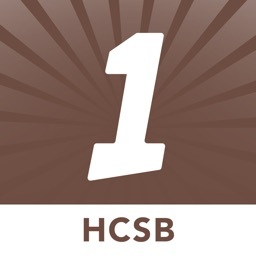 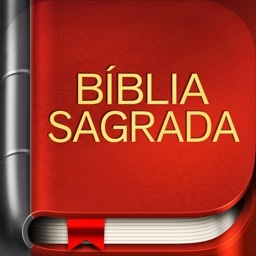 - FREE Holy Bible, sharing the word of God in numerous languages. 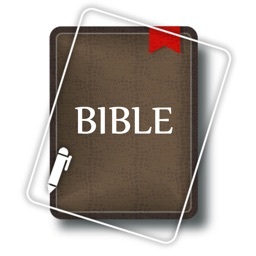 - Search Bibles by language or by country. 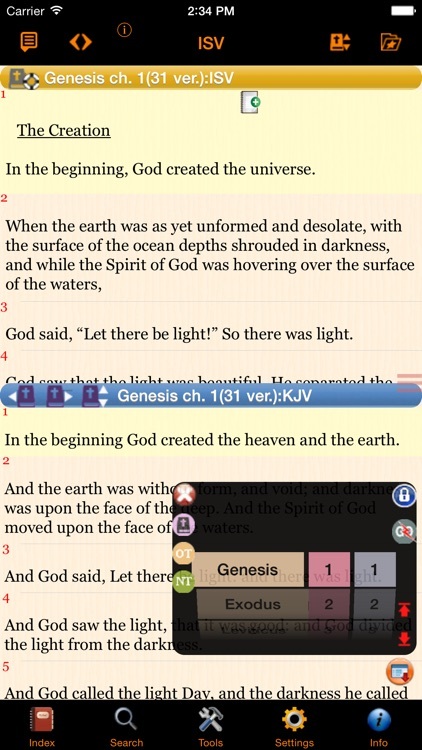 Bible Reader with fully formatted text and multiple versions and languages available. Navigate by book, topic, passage, search and more. 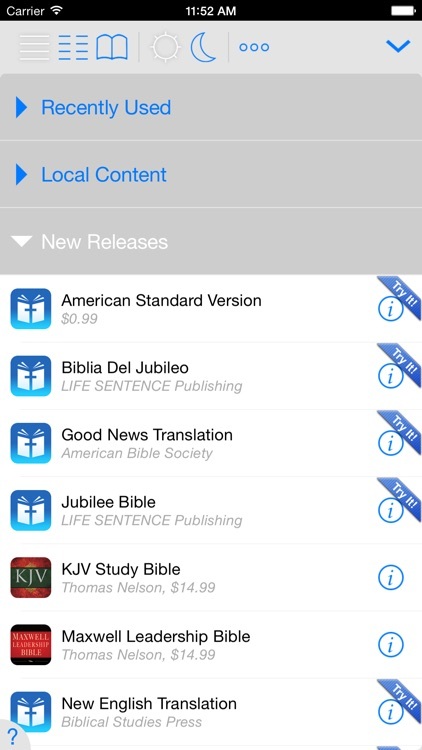 Download the most popular Bible versions to use even when the Internet is unavailable. 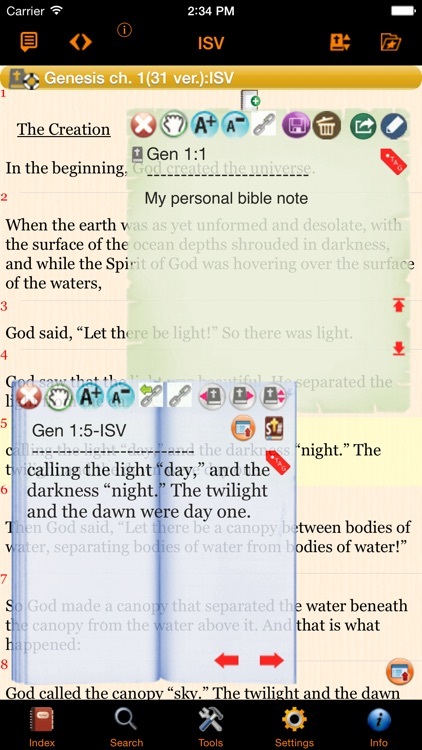 Bible Reader featuring the New American Standard Bible in fully formatted text pre-loaded and ready to use even when the Internet is unavailable. 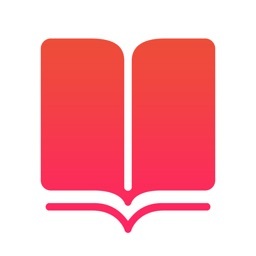 Navigate by book, topic, passage, search and more. 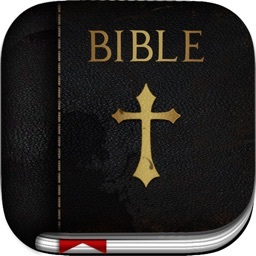 Other versions are available for download within this app. 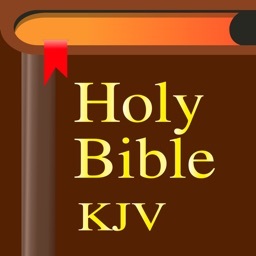 Bible Reader featuring The Message Bible AND the King James Version Bible in fully formatted text pre-loaded and ready to use even when the Internet is unavailable. 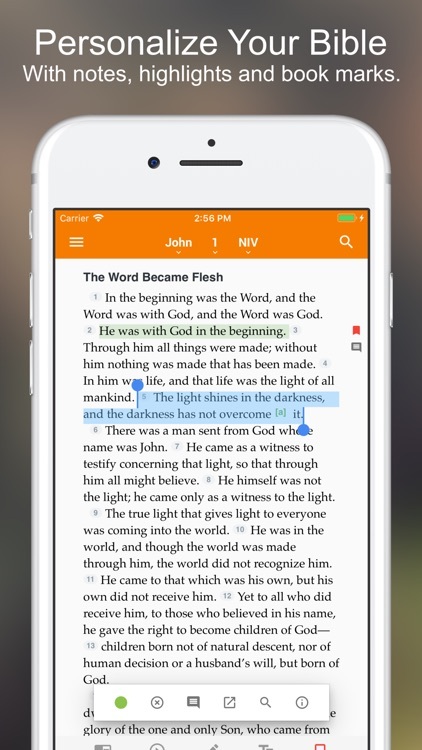 Navigate by book, topic, passage, search and more. 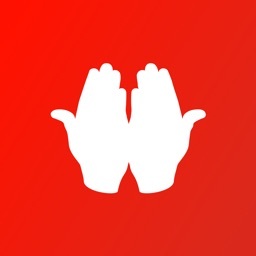 Other versions are available for download within this app. 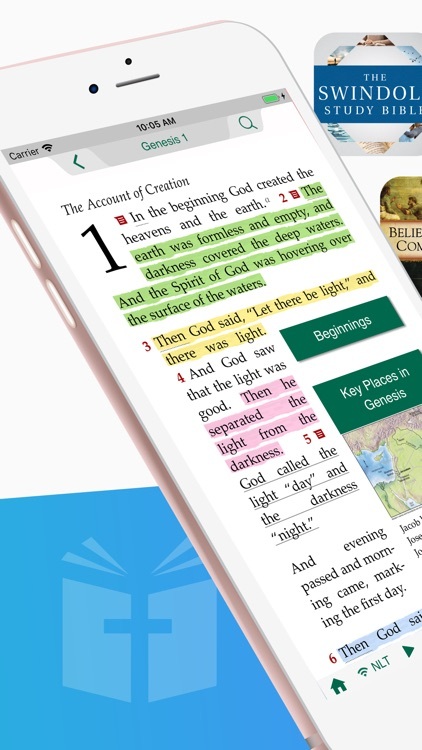 Bible Reader featuring the New King James Bible in fully formatted text pre-loaded and ready to use even when the Internet is unavailable. 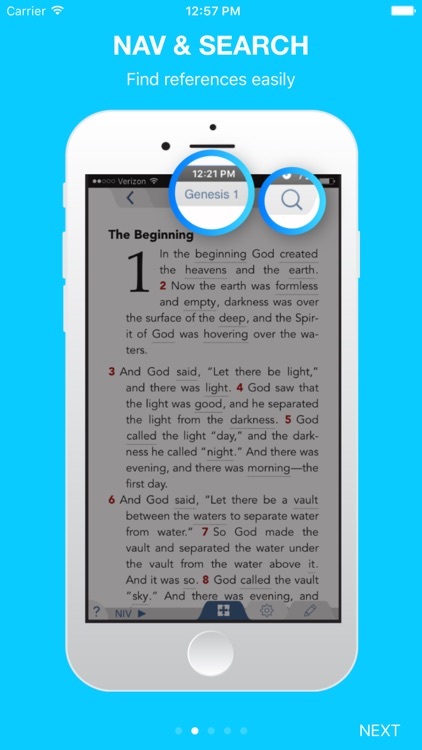 Navigate by book, topic, passage, search and more. 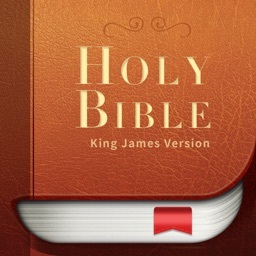 Other versions are available for download within this app. 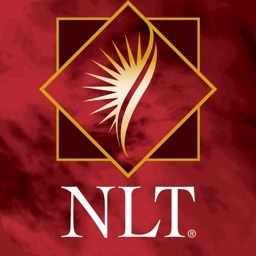 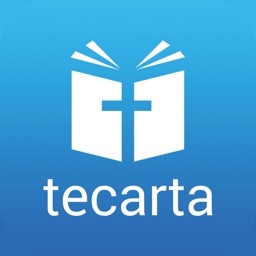 The NLT Bible is Tecarta's Bible app and includes a local version of the New Living Version of the Bible. 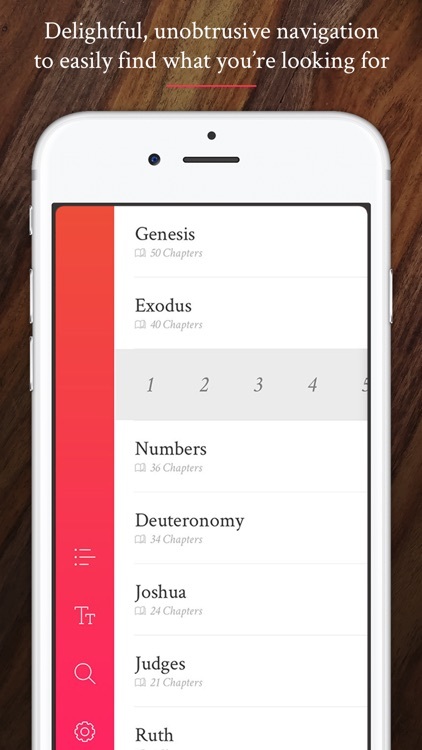 You get a very fast app designed for Bible Study, quick navigation and easy note taking. 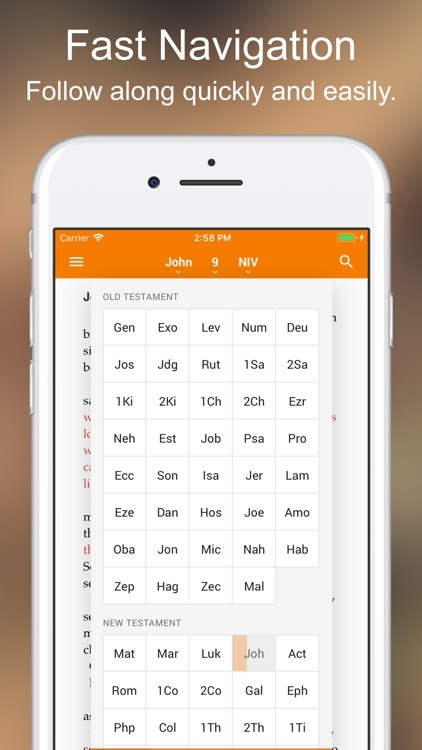 No other Bible app matches the design, functionality of Tecarta's Bible app. 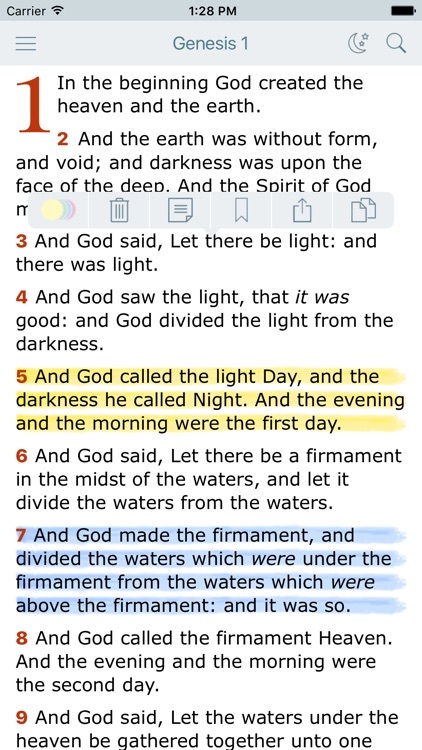 ●Bible version: American Standard Version. 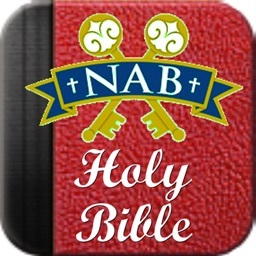 This approved Catholic Bible app comes pre-loaded with the New American Bible Revised Edition - NABRE which carries the Imprimatur and Nihil Obstat from the Confraternity of Christian Doctrine and the United States Conference of Catholic Bishops. 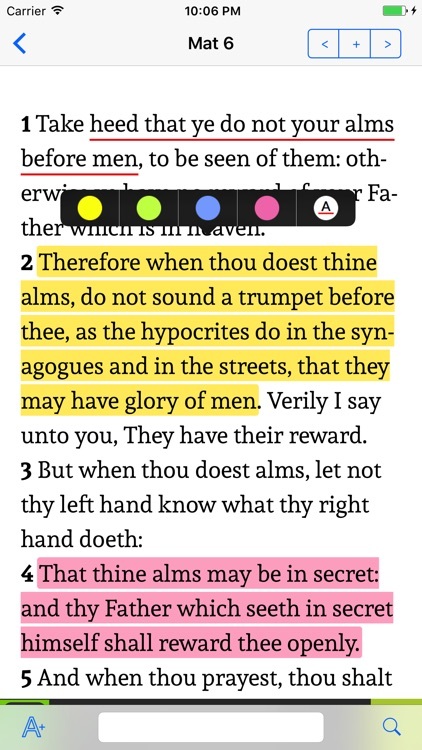 ● Bible version: American Standard Version. Full Audio Bible: Listen offline.Set Verse / Chapter / Book repeat play. 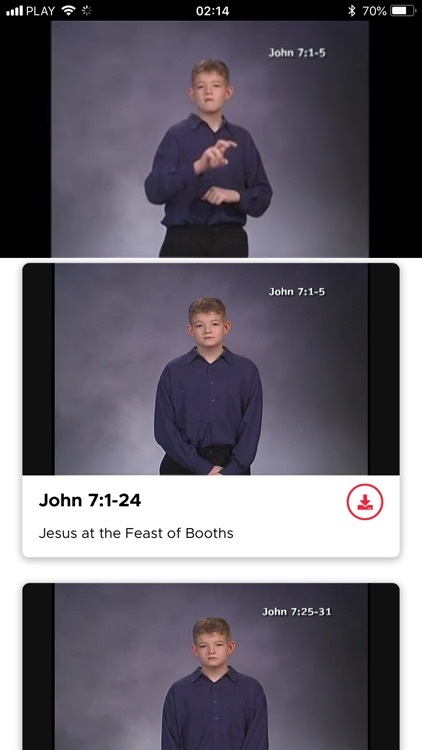 (no internet connection required). ◎ Set Verse / Chapter / Book repeat play. 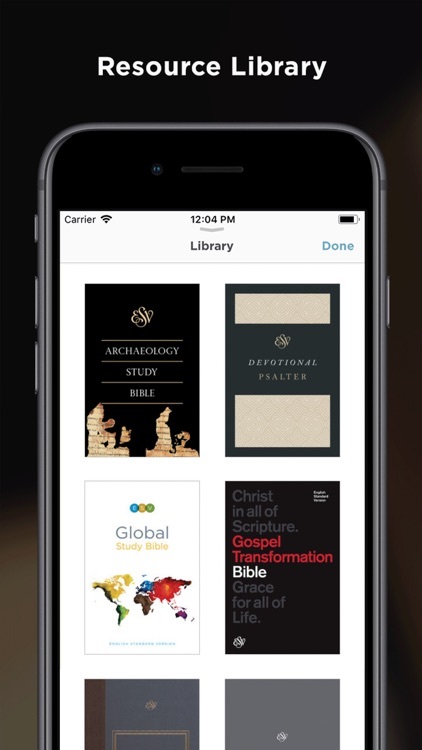 The best book in the world deserves the best app. 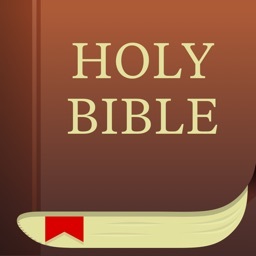 This is the best bible ever created for iOS. 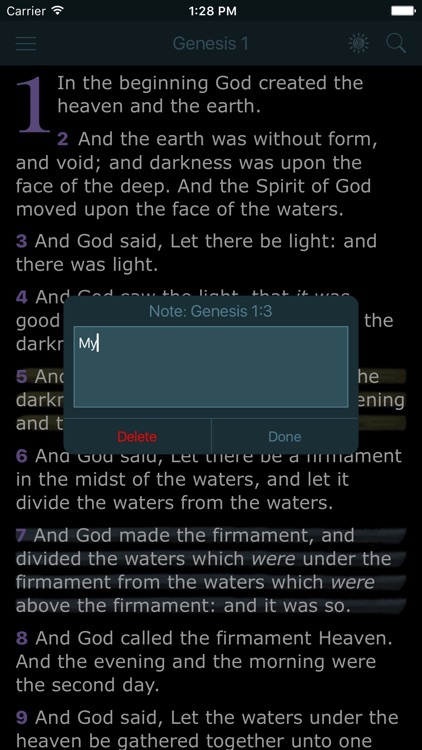 Highlight your favorite verses and add notes to them. 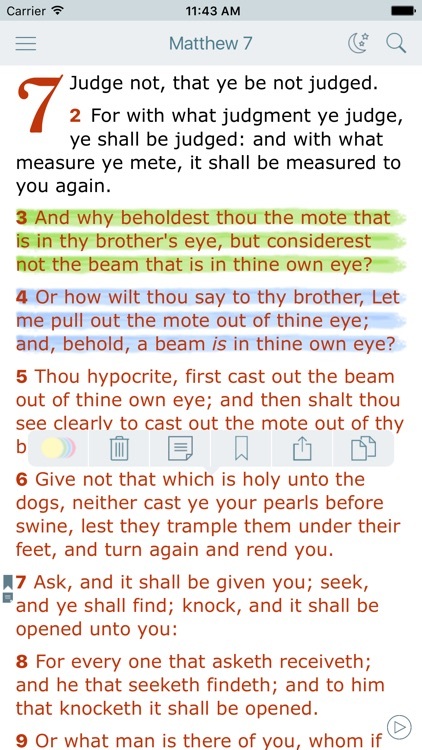 Read it even without internet connection. 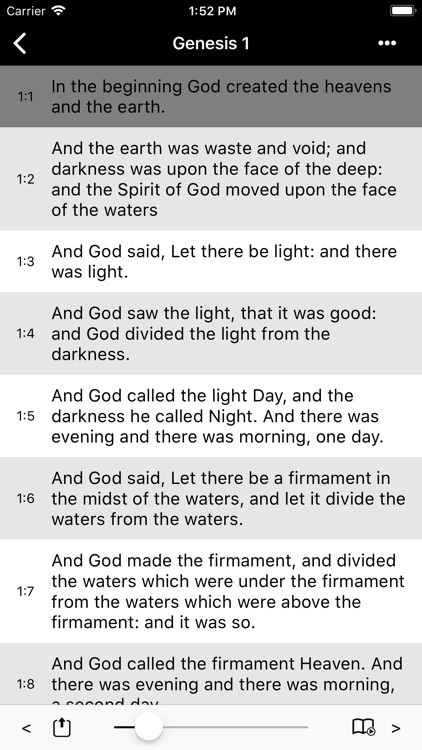 You don't need to worry about being connected, you can simply open and read it. 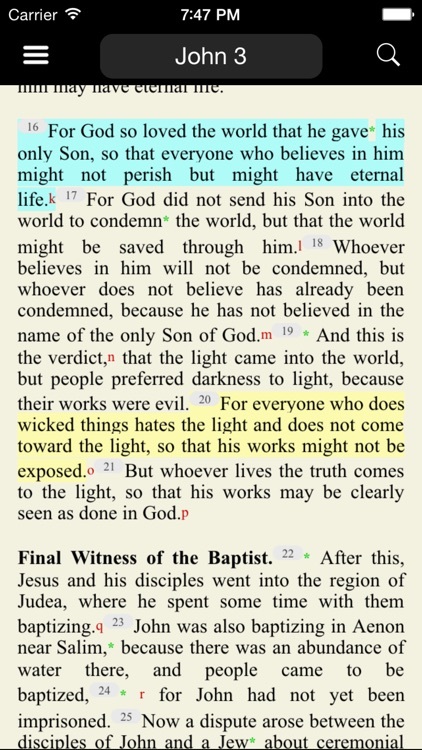 With pages just like the ones in real life, it is by far the most gorgeous bible out there. 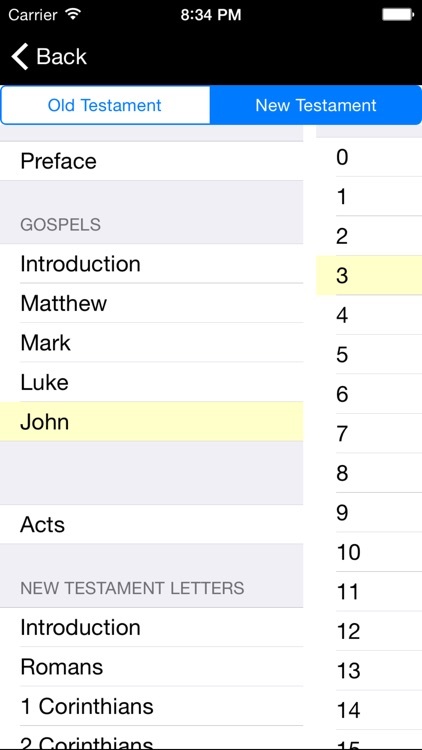 It's also super simple to use and super fast. 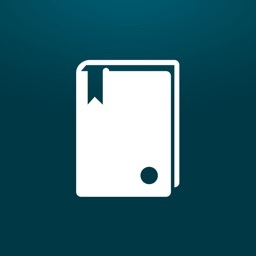 - Swipe the pages to go to the next one. 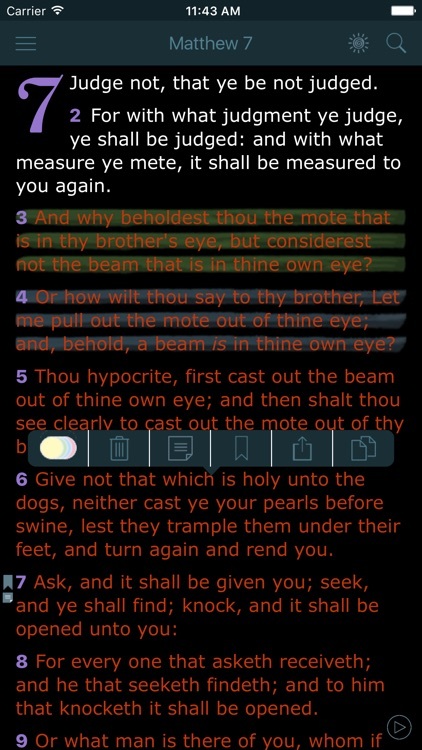 - Highlight exactly what you want. 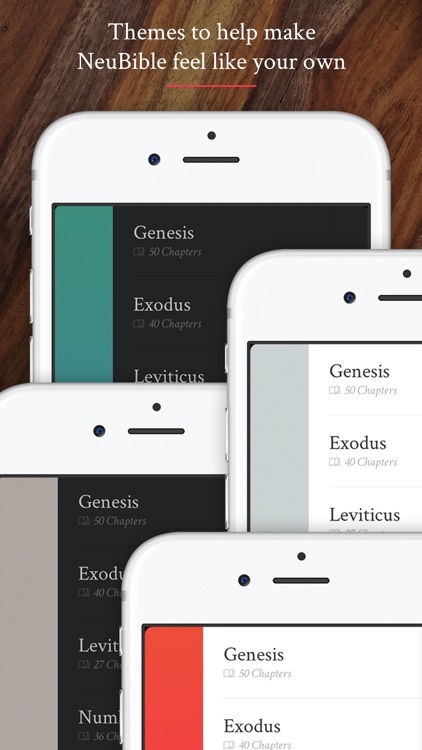 - Change your highlights colors. 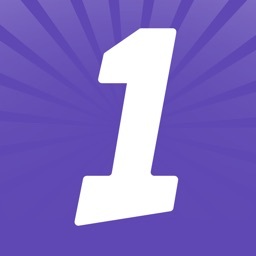 - Add notes to your highlights. 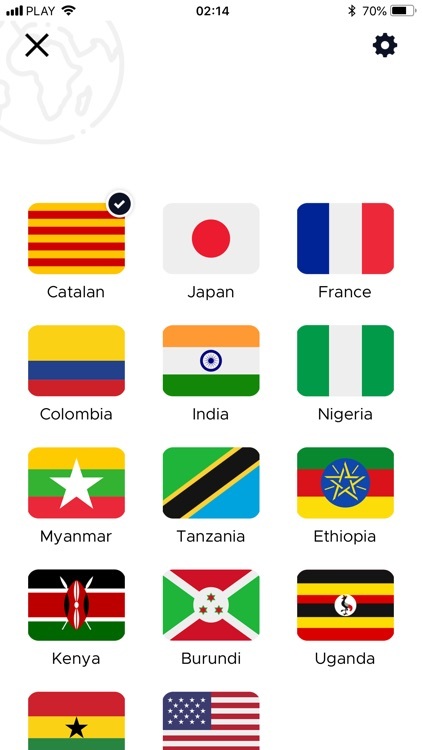 - Add tags to your highlights to make it easier to find them. 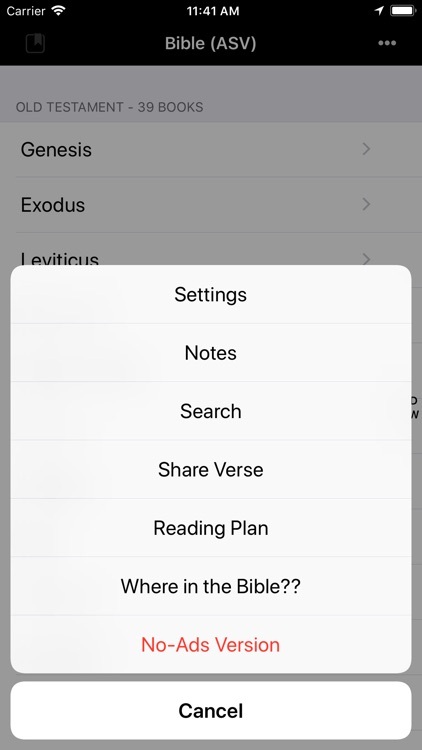 - Real time search for the entire bible. - Search your highlights, tags and notes. 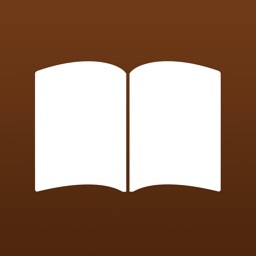 - Change fonts and the text sizes. 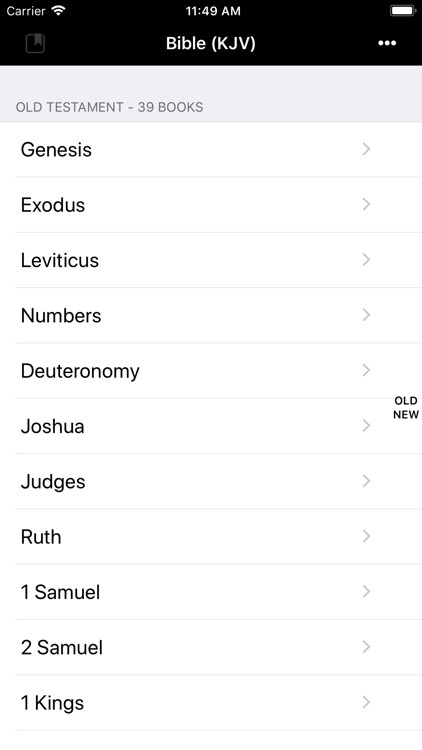 - Change themes. 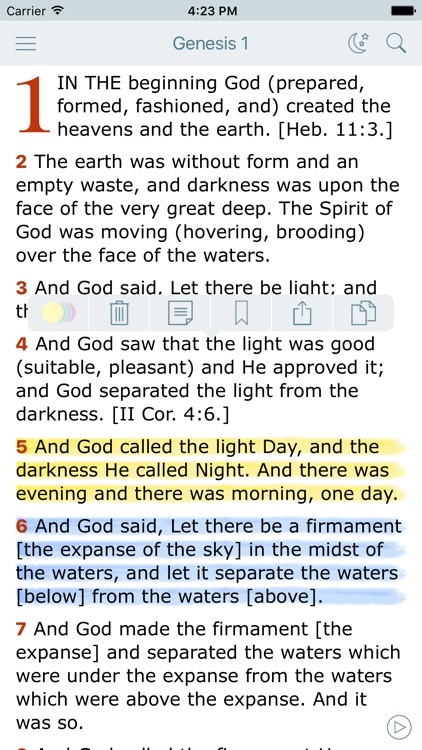 White, Sepia, Dark Gray and Night. 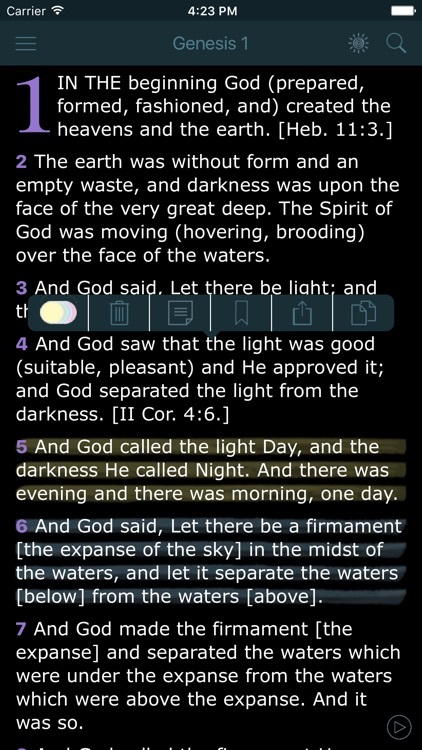 - Adjust the brightness inside the app. The 1611 King James Bible was writen more than four hundred years ago when the English language was different. 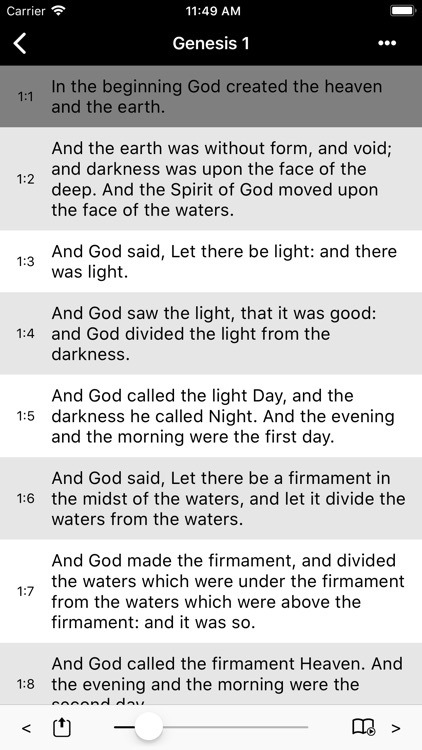 The original 1611 A.D. text, written in Early Modern English, shows the language in closer association with its Latin roots. 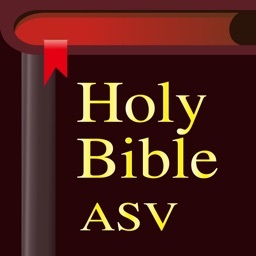 Spelling was in Jacobean style which was not entirely standardized, but could be read phonetically. The original typeface was in Gothic style. 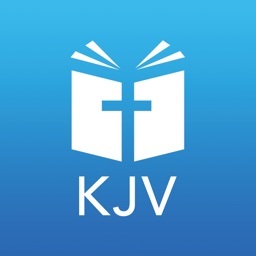 Although both the typestyle and the older language may be considered difficult to read by some 21st Century English readers, the King James Version is recognized and respected for its beauty, cadence, and poetic feel. 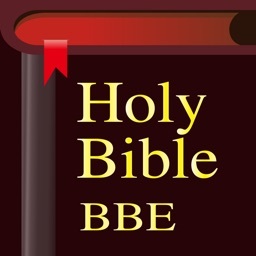 ● Bible version: Bible in Basic English. 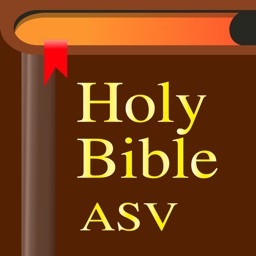 The author of Simple Bible is a home developer with no fund support and also with no fix income, just dedicated to this app full time, so please be sure to click the Ads to support, thank you! 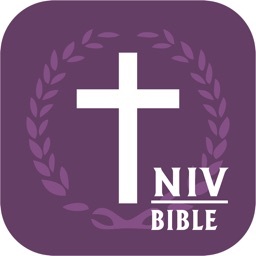 Hope everyone can make good use of this app, and always read your Bible, use your "finger" to fight. 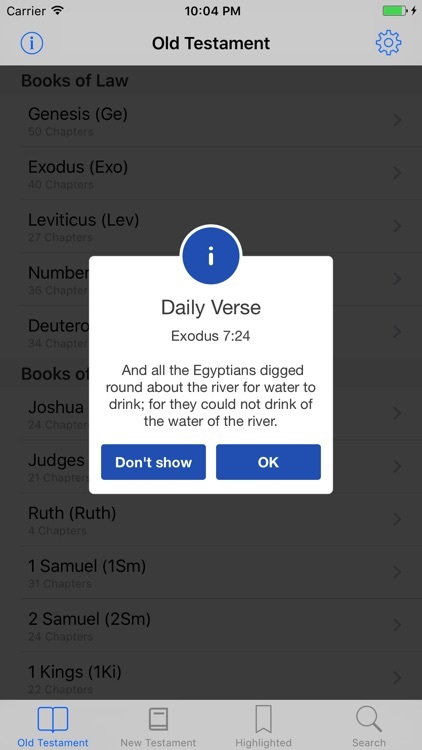 always read your Bible, use your "finger" to fight. 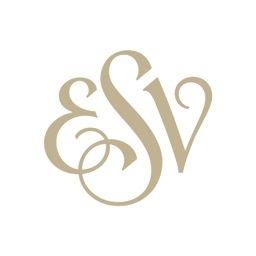 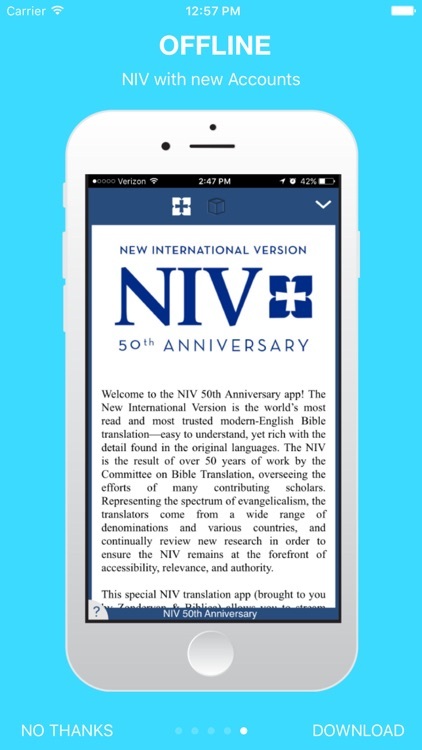 This app is being maintained for those who have previously purchased the previous NIV edition. 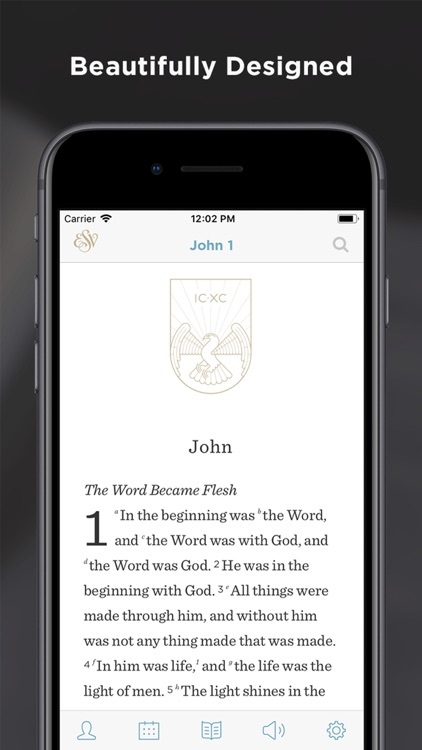 You can download the FREE “Bible +1” app by Just1word, which has the latest edition and many other popular versions available for online use as well as for in-app purchase. 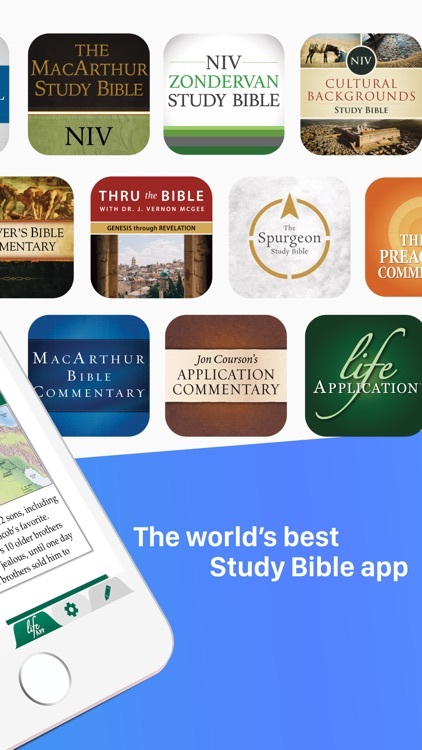 It is customary for Bible publishers to focus their efforts on the most current edition of their translation, and to make available only the best, most up-to-date work of their translators. 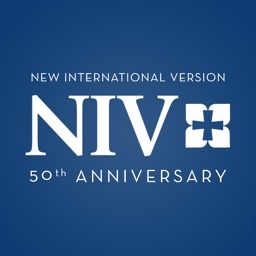 This is the case with the updated NIV, as it is for most other major Bible translations. 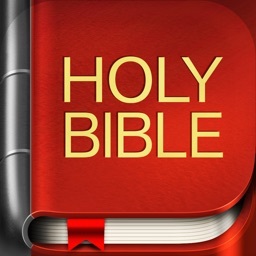 Since this latest edition was published in March 2011, there have been over 450 million copies distributed worldwide, including over 11 million copies of the most recent edition.